The Ginger Root is the target of both disdain and absolute adoration, depending on what you’re into. Personally, I’m a massive fan of ginger and use it in everything from my cooking to drinking it in my teas – and I’m certainly not alone. The Ginger Factory of Yandina, right here on the Sunshine Coast is the home of every gingerly delight you could imagine, and this January they’re going to celebrate it. The Annual Ginger, Flower and Food Festival is making its return. This annual, free event is a celebration of all things gingery, and friends of – From food to market stalls, live entertainment, animal experiences and thousands of plants available for purchase – not to mention more expertise than you could shake a root at. 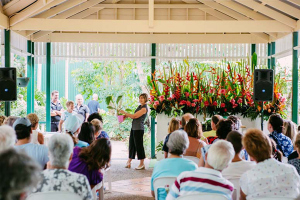 Come along to one of the informative garden talks where you can learn about Ginger, Heliconias and heaps of other plants that are on display or enjoy listening to the guest chefs and watching them work their magic in the kitchen. This year is set to be bigger than ever, as the Ginger Factory celebrates 75 years of tasty history. 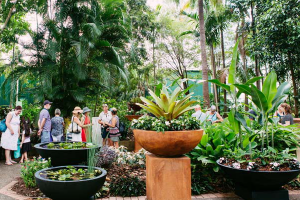 From the 18th to the 20th of January the Ginger Factory will burst to open its doors with a barrage of colour, showcasing an exquisite range of ornamental ginger plants and heliconias (which thrive in the Sunshine Coast’s sub-tropical conditions). A stunning array of over 3000 plants will be on display in their absolute best for your viewing pleasure. 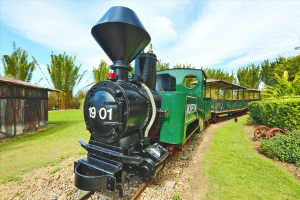 After you have had your fill of the festival, hop on the Moreton Ginger Train – a 115 year old cane train which runs leisurely tours through the tranquil gardens that surround and wind their way through the factory itself. 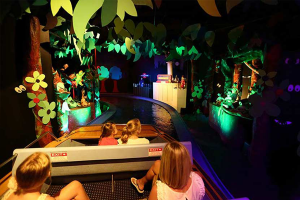 After you train ride, head over to the Overboard Boat Ride which for a fun water adventure ride suitable for people of all ages. Finish your day off with a bite to eat for lunch at the Ginger Cafe and grab a snack or meal created from the best local produce, or add the cherry to the top of your day with a visit to the Ice-Creamery where you can indulge in their delicious range of home-made ice-creams, made on site. For more information, visit the Ginger Factory’s website here.